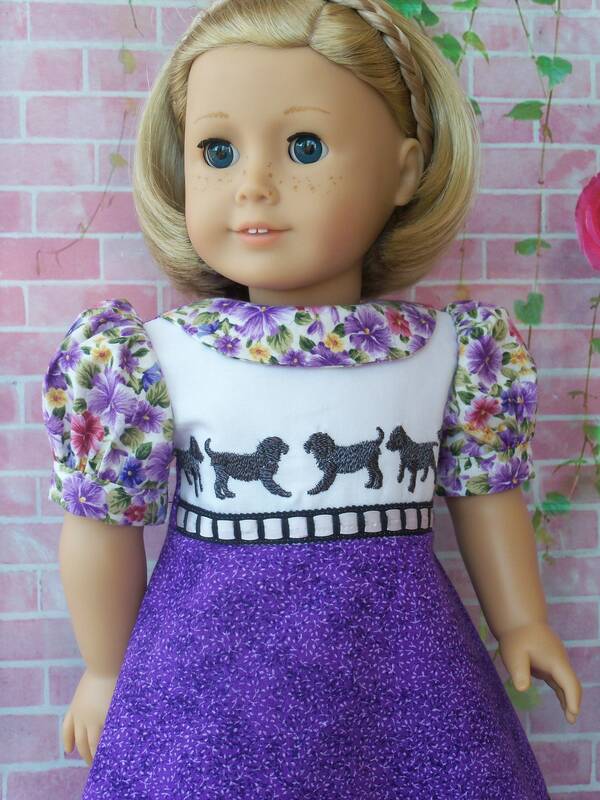 Presenting a Farmcookies 1930's style embroidered doll dress modeled by American Girl Kit. 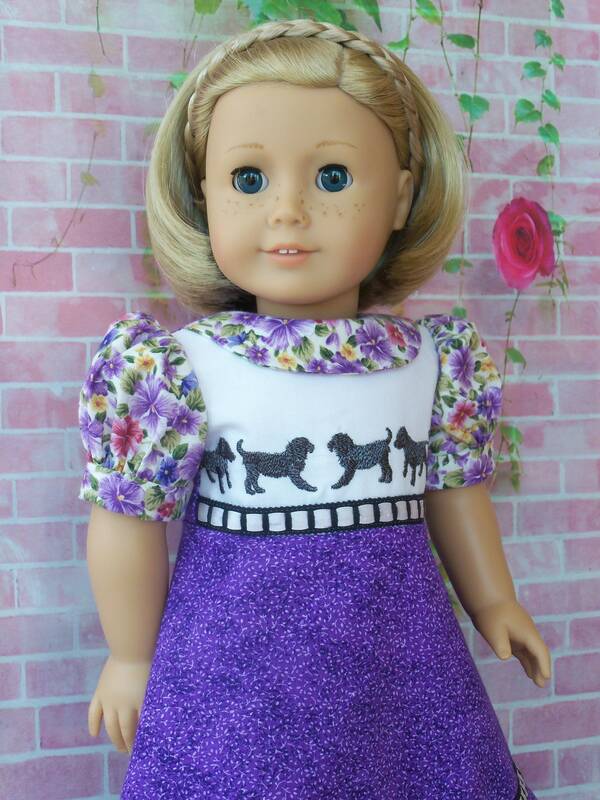 Like American Girl Doll Clothes this pretty 18 inch dress fits American Girl and other 18" dolls. It was made from my Kit's Sunday Best pattern. omitting the placket and adding a collar overlay from the Swan Lake pattern. Like American Girl shoes, these dark red T-Straps are an optional purchase. The SPECIAL VALUE dress would be perfect for Kit, Ruthie, Nanea, Maryellen, Melody or your special American Girl of today. The fully lined bodice features sweet Labrador puppy embroidery accented with black and white crochet trim. It has a contrasting collar and short sleeves that are cuffed. The A-Line skirt, so popular in the 30's, is adorned near the hem with matching crochet trim. This dress has my Easy-On feature. The entire back opens and closes with Ultra-thin Velcro for ease in dressing. Rare Dark red (oxblood) T-Strap style shoes can be added for $11 and no additional shipping when purchased with this dress. Shoes are easy-on and close with Velcro. Dress will be tissue wrapped and sent in a box so you receive it in perfect condition. I will mail your package within 2 business days of purchase. Doll, hair band and socks not included in the listing.